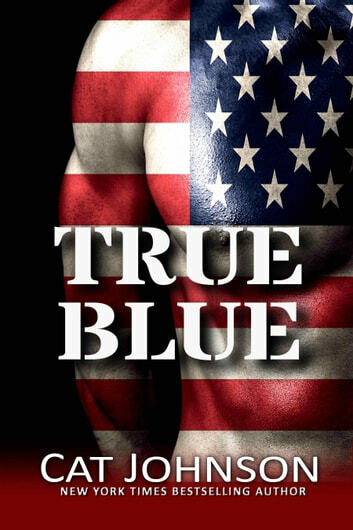 The red hot and true blue men of Task Force Zeta return! SpecOp "Bull" Ford earned his nickname through sheer size alone but all it takes to crumble his stone wall exterior is one petite harpist. All he has to do to be with her is prevent a terrorist bombing and save a room of hostages. Tired of watching his teammates get the girl while all he's had his hands on lately is a computer keyboard, computer genius Matt Coleman is happy to take an assignment in Dubai. But the job isn't as simple as predicted when Matt's online SpecOps computer buddy "Sam" is there working undercover, and he turns out to be a she. To his team he's just "the commander". For Hank Miller the military is his life and that's enough, until he travels to Pigeon Hollow and meets Lois Gordon, aka "Momma", the mother of two of his men. Soon the heat between them gets hotter than the heat in Lois' kitchen. Previously published. This is a rerelease. Don't miss the complete Red Hot & Blue series. Binge ready, binge worthy! Red Blooded, Smalltown Heat, A Few Good Men, BB Dalton, Model Soldier, A Prince Among Men, True Blue. Was expecting action but what this story is really about the relationships of the men in the same team. It’s a lovely love story.